Some people note that law has become a new generalist degree, much like an arts degree. 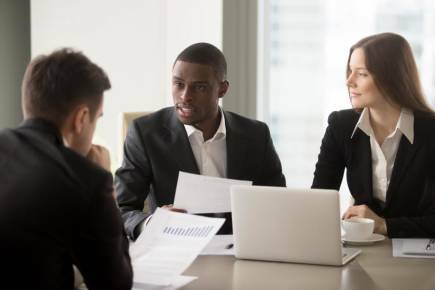 In 2018, all Australian universities offer law subjects; although the vast majority through a Bachelor of Laws degree (or LLB) aimed at professional practice. 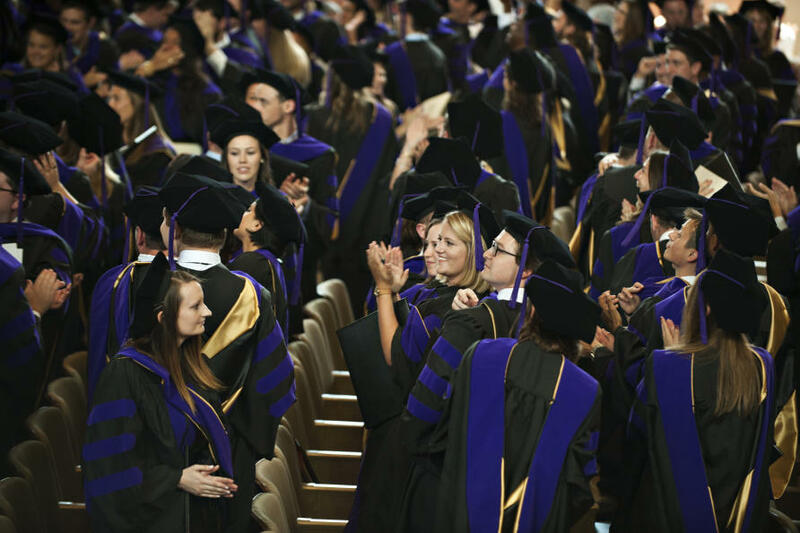 Why Australia ended up with so many law schools is as much about changing structures of higher education as it is about the popularity of law with students, as we document in our recent paper. The Australian federal government made dramatic reforms to the university system in 1988, resulting in a significant expansion in the number of universities (through creating new universities from other higher education institutions) and the number of students. This prompted a rapid growth in both new and established universities offering law degrees. Just prior to the system’s expansion in 1987, 10 of the then 19 universities (or 53 per cent) housed law faculties or departments offering an LLB. By 1991 this had grown to 17 of 27 Australian universities (63 per cent) and by 1996 to 25 of 36 universitites (69 per cent). The higher education policy changes of the late 1980s meant universities’ funding was now much more closely tied to the number of students in the subjects taught. This produced a financially competitive and uncertain environment for many universities, both new and old. Law, as with many social science and humanities disciplines, offers large financial margins when taught at scale; with a model based largely on lectures and seminars it is a relatively ‘cheap’ course to administer. As a result, expanding the provision of legal education became an increasingly attractive option. The growth of law education was a contentious issue – a major policy report published just one year prior to the 1988 reforms did not recommend any further expansion of legal education. But the expansion was made possible by a radical shift in regulation. Prior to the 1988 policy changes, the Australian federal government put considerable constraints on the number of law faculties or departments, including enrolments, as it continues to do with medical schools to the present day. After 1988, the government allowed universities more freedom to establish legal education and provided places for additional law students. 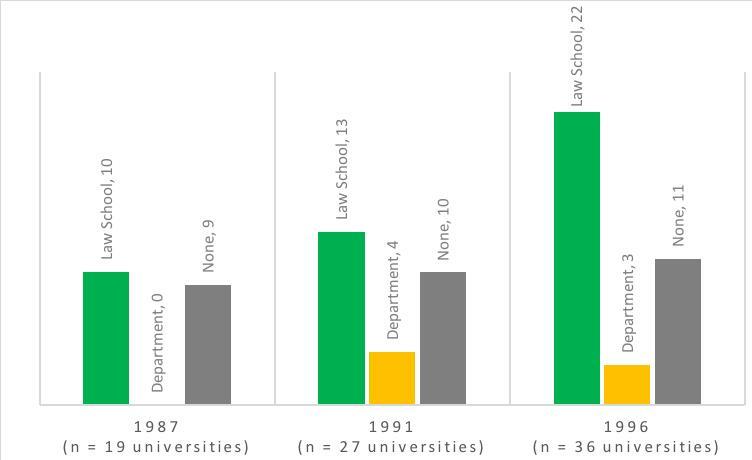 Even though there were clear incentives to provide law degrees at Australian universities from the early 1990s onwards, it is nevertheless striking how quickly these universities converged towards a dominant organisational model for legal education: the standalone law faculty or law school. In the 1980s, the eight universities that would later become the ‘Group of Eight’ already had standalone law faculties or schools granting the LLB degree. After the 1988 policy reforms, a number of universities trialled different organisational models for legal education, frequently including law departments that were co-housed in larger multidisciplinary faculties (like faculties of arts or business). However, by 1996 the standalone law faculty had become the almost exclusive model for legal education in Australia. As the number of Australian universities quickly expanded in the 1990s, universities and aspiring students saw opportunities in legal education. A dominant organizational model quickly emerged, as the newly formed universities all came to emulate Australia’s original law faculties and their professional entry and practice focus. Legal education became quite uniform across the country. 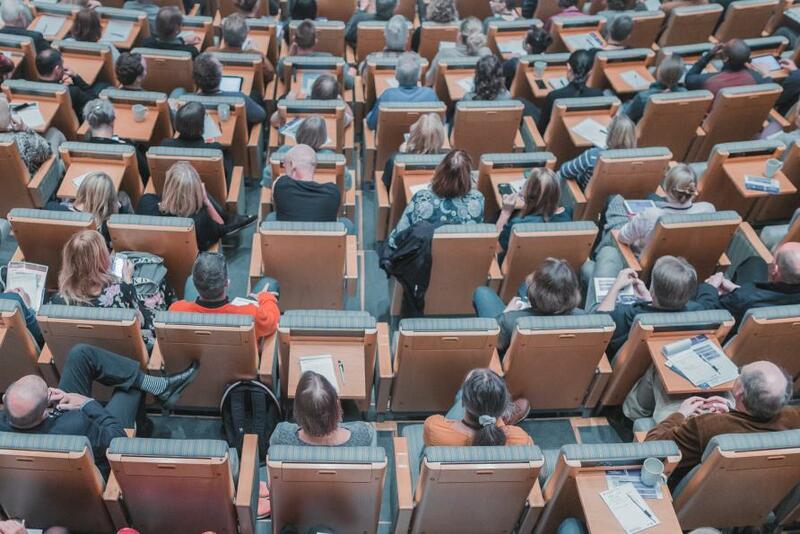 There is limited opportunity for further growth in legal education in Australia’s existing universities, and we are unlikey to see the model changing much within universities. If there is any future growth or disruption, it will most likely come from outside the universities.